I remember back when AMD’s CTO of the Graphics Product Group, Raja Koduri, first quietly left the company for Apple. This was hot on the heels of Apple’s hiring of another AMD GPU CTO, Bob Drebin. At the time (2009) I didn’t understand why Apple would want so many smart graphics guys on staff, were they working on their own GPU? Mac OS X was hardly a gaming platform of choice back then so the idea didn’t make much sense to me. It turns out that Steve Jobs wanted to surround himself with the absolute best in the business. Today, the impact of the work of folks like Bob Drebin, Raja Koduri, Jim Keller and others is quite evident. Apple tends to ship some of the fastest GPU hardware in the mobile industry, and its work in bringing high-DPI displays to virtually all of its products is unparalleled. Apple also played a huge role in driving the performance of Intel’s processor graphics. It turns out, that’s what happens when you hire a bunch of crazy smart GPU folks. Last year AMD announced it re-hired one of the folks who eventually landed at Apple: CPU architect Jim Keller. Keller was responsible for one of the more memorable AMD CPU architectures, as well as played an unknown role in the development of Apple’s own CPU roadmap (Keller likely had a hand in the planning for Swift). 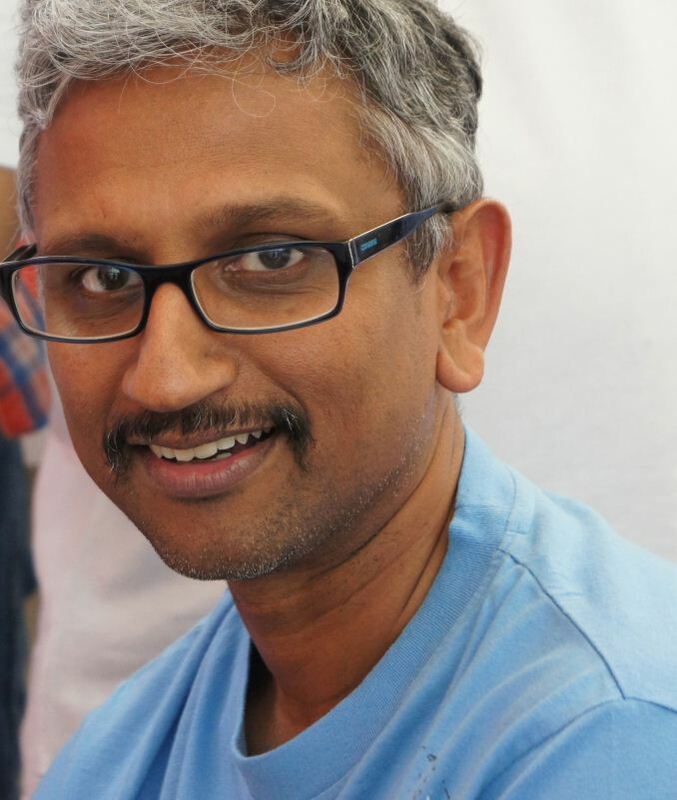 Today, word of another major hire surfaced earlier than expected: Raja Koduri now works at AMD once again. For the past 4 years Raja has been working on all things graphics at Apple, but now thanks to a great offer and a fear of getting too comfortable at Apple, he's back at AMD. Raja Koduri returns to AMD as a Corporate Vice President of Visual Computing, the implication of the title is more important than its indication of how highly AMD values its latest hire. In Raja’s previous role as graphics CTO at AMD, he oversaw GPU hardware but didn’t directly oversee AMD’s software development. For the first time in recent history, both GPU hardware and software are falling under the same man. The timeframe for Raja’s influence depends on what you’re talking about. Raja’s immediate goal is to ensure that AMD has the best GPU architecture/hardware possible. Unfortunately, it will likely take 2 - 3 years to realize this goal - putting the serious fruits of Raja’s labor somewhere around 2015 - 2016. Interestingly enough, that’s roughly the same time horizon for the fruits of Jim Keller’s CPU work at AMD. Raja believes there’s likely another 15 years ahead of us of good work in high-end discrete graphics, so we’ll continue to see AMD focus on that part of the market. However, Raja’s efforts will span everything from discrete GPUs to its own APU/SoC strategy. There’s no change there from the path AMD has been on for the past few years now, but it’s good to hear that as much as low power matters, high performance is still on the to-do list. More immediately you’ll see bits and pieces of Raja’s influence emerge. Everything from hardware to drivers and developer relations now falls under Raja’s umbrella. Presumably, all should improve - with the latter two seeing impacts sooner than the 2 - 3 year timeframe it would take for us to see results in hardware. We recently spoke about AMD’s multi-GPU frame pacing issues and I wouldn’t be surprised if that’s one of the first bits of low hanging fruit that Raja gets his teams to address quickly. Raja returns to a very different AMD than the one he left. I asked him what’s different and he responded by saying the AMD he left acted like a company that was 10x its size. Today, AMD is a much smaller and more agile company. Raja believes AMD is in a better position to take advantage of new opportunities vs. being in the hopeless position of never being able to catch up in mature markets. It’s difficult to see what the next big mover will be after smartphones. Intel is betting on the TV industry, but to be honest no one knows. What drives Raja is the belief that delivering good quality, high performance and low power graphics will continue to matter going forward. I agree. 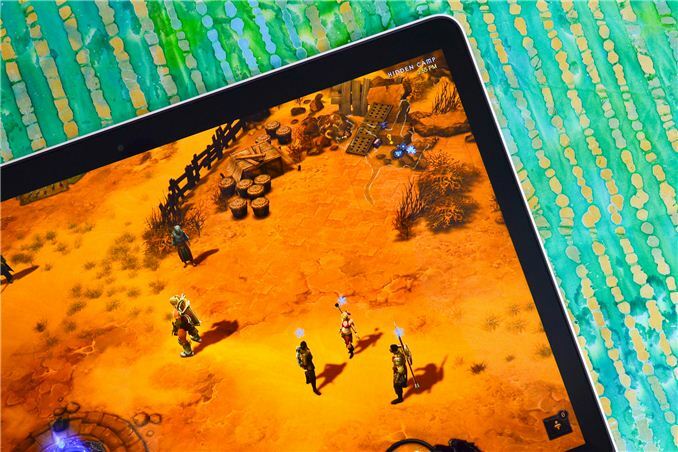 For years, Intel held back appreciation of good graphics performance in the PC space but the current mobile revolution has changed all of that. Graphics performance is just as important as CPU performance, a fact that Intel will itself embrace with Haswell/Broadwell. 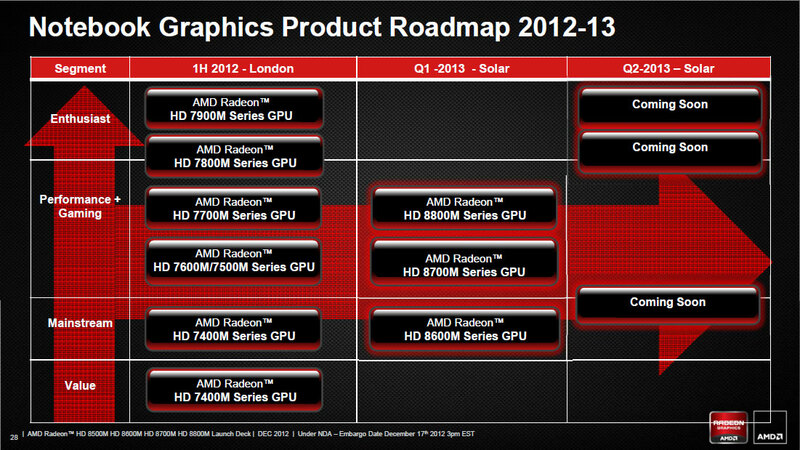 Raja views AMD’s challenges as being difficult, but not unsurmountable. 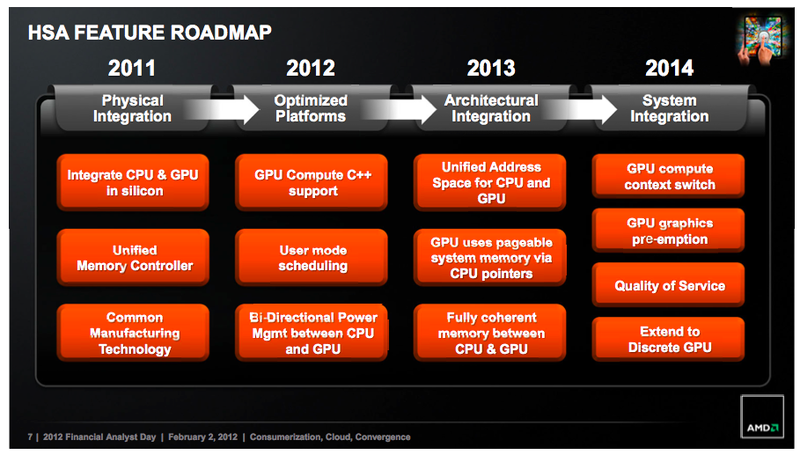 AMD needs a great graphics architecture and it needs a great SoC. Raja’s scope will include making sure that, at least on the graphics hardware/software/dev-rel side, AMD is in the best possible shape. Jim Keller will do the same for AMD’s CPUs. AMD remains focused on this idea of servicing vertically integrated players, although it's still difficult to see how that strategy is going to play out given how today's vertically integrated players (outside of game consoles) aren't big on using AMD hardware. I’ve known Raja for over a decade now, and he’s always struck me as a man in search of a challenge. Given the revolution that we’ve seen at Apple over the past few years, Raja’s attraction to Cupertino made sense. However, I don’t think you could ask for a bigger challenge than the position AMD is in today. Raja (and others at AMD) believe there’s still room for new hires, although they are very interested in bringing in new blood. "I always had the dream of building a Pixar like company in India and I got an opportunity to engage with a group of people who have the same mission. AMD allowed me to stay engaged on this endeavor and that's one of the reasons I chose AMD." Whether or not the past several high profile hires are enough to save AMD is something we won’t know for sure until 2015/2016. One thing is certain, AMD is trying to assemble a group of folks crazy enough to try and turn this company around. Is this another sign that Cook lacks both the vision and leadership / talent attraction and retention that Jobs had? This is some great news! After the current economic stall there will be a new expansion, as it is always the case. 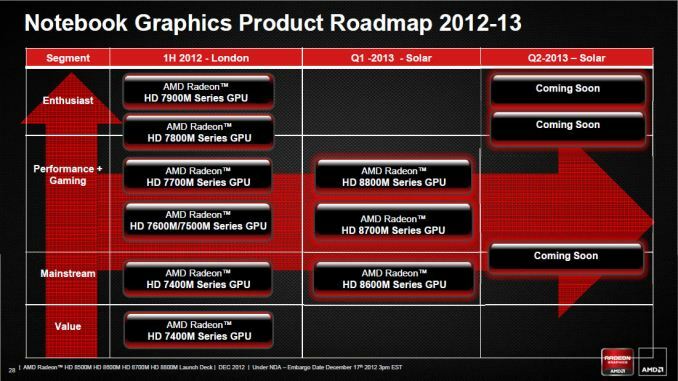 I just hope AMD will be in a better position to explore the new expansion and keep competition in check. We don't want a single CPU or GPU or SOC vendor. Whoa, do I work with you? This is happening where I work, too, and it's eating the company from the inside out.